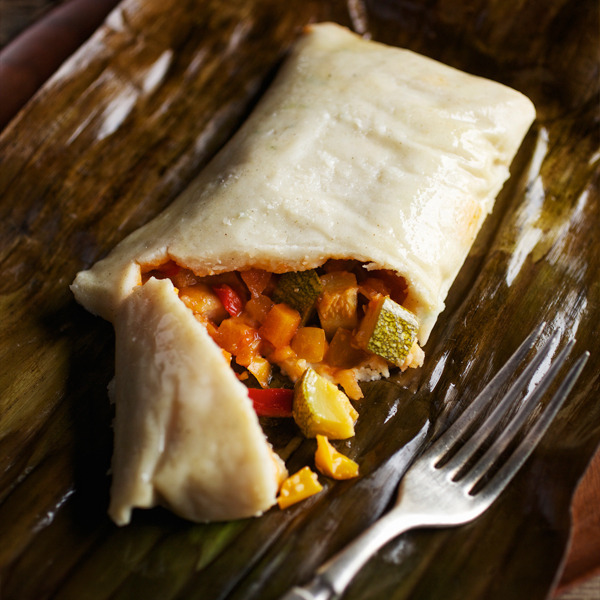 Our gluten free vegetable Oaxacan tamales are vegetarian tamales made using fresh-cut, all-natural zucchini, yellow corn and carrots for a nearly one-pound serving of colorful Mexican cooking hand-wrapped in a banana leaf. Made with zucchini, fresh yellow corn kernels and fresh-cut carrots, Bola Tamales vegetable Oaxacan tamales are a colorful, healthful option for those looking to satisfy a serious tamales craving. 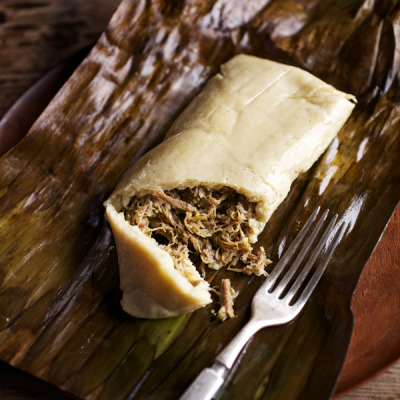 These near-one-pound vegetarian tamales are made without lard by wrapping the masa in banana leaves instead of cornhusks. It’s an innovative twist on traditional tamales preparation that allows our chefs to keep the authentic, moist texture of our vegetable Oaxacan tamales’ masa while presenting one of Bola Tamales most healthy (and delicious) vegetarian tamales options. By hand-wrapping our Oaxacan tamales in banana leaves, our chefs allow the rich flavors of Bola Tamales vegetable Oaxacan tamales’ filling to take center stage. Prepared without preservatives or additives, our vegetable Oaxacan tamales have all the spirit of the tamales first prepared by our foremothers, the central ingredient being the all-important de la familia love.